Our neighborhood party for Easter each year is so much fun. Several families get together and we meet up at the neighborhood playground. Sometimes we even do it the week after Easter. 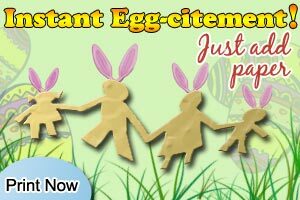 We figure the kids will love a party anytime, plus all those Easter goodies are on sale after the holiday! If you don't have access to a playground for your Easter celebration, perhaps a yard, or a church nearby would do. Having access to a playground is nice though, because it can distract the kids while the eggs are hidden. We ask that each family brings a dozen eggs for each child that is participating in the hunt. The kids play, we hide the eggs (we always bring a few extra just in case...) and then on "Go" the kids get to find 12 eggs each. That way everyone will end up with the same number of eggs and the older kids don't have an unfair advantage to get more. It is always fun to see the Easter Bunny! Contact a petting zoo - they will usually have bunnies available to love. You can also purchase an Easter Bunny Costume for great photo ops! We've varied it from year to year, but sometimes we've had one or more of the following at our neighborhood Easter celebration. Have some easy crafts - something that all ages can do. Coloring sheets, or making things with foam and stickers work great! 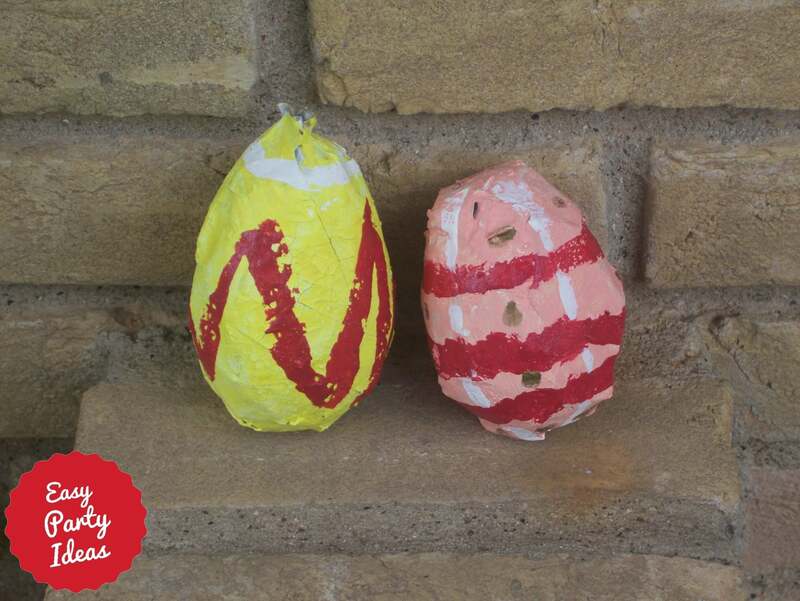 If you want to decorate Easter eggs, but aren't at a location to do it easily and without a mess, one option is to paint paper mache eggs, like the ones in this photo. Use the pinata link below to learn how to make paper mache eggs. Simple and inexpensive, they should be made in advance so they are ready to paint at the party. In addition to running around and hunting eggs, bounce houses and pinatas are always fun! If you have time, it is easy to make pinata, and very, very cheap to make! All you need is some flour, water, newspaper, a balloon and crepe paper, paint or tissue paper in the colors that you would like to use and maybe some regular white glue. 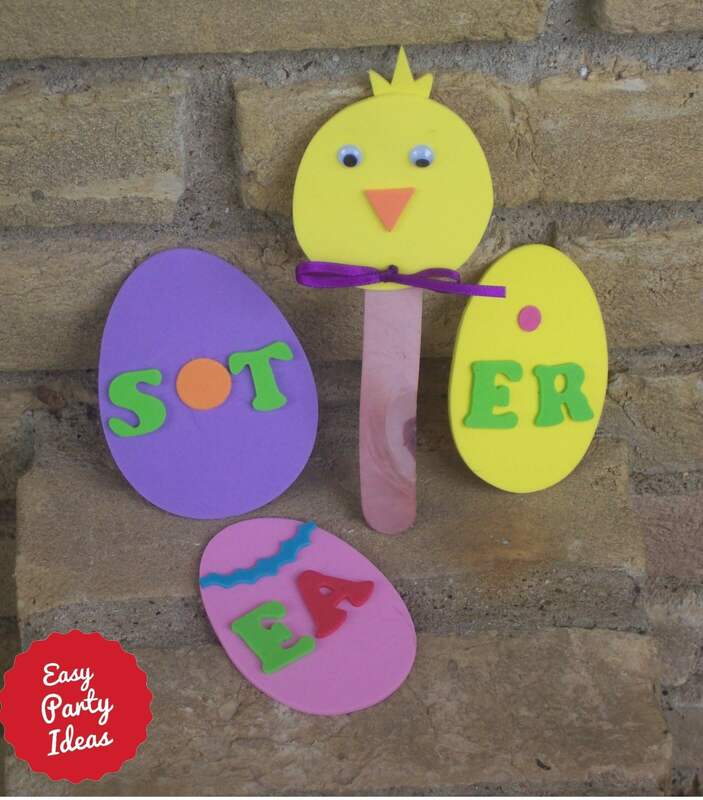 Learn how to make an Easter bunny pinata! 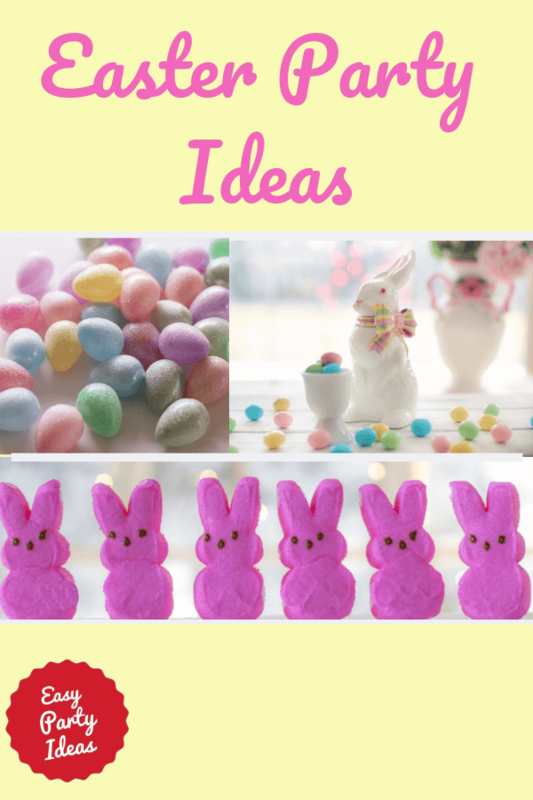 An indoor party or a party at school can be the perfect time to include printable games with your Easter party ideas. They are very easy, just select online, print and play! They are inexpensive, and you can copy as many as you need.